Fall is a bittersweet time of year. The days get shorter, reminding us that winter is just around the corner. But the weather is cool and crisp, and the colors are spectacular. National Geographic lists some trips that can help you enjoy this wonderful season. New York. You can view the colors in New York City’s Central Park, and also enjoy world-class dining and sightseeing. Or you can venture out of the city to the Catskills and the Adirondacks for a full display of fall – and maybe even a little late-season camping and fishing. Maine. 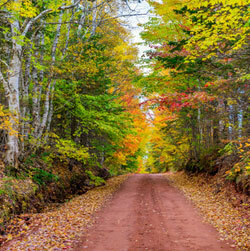 Maine has lots of woods that are ablaze in the fall. It also has become a craft beer center, with breweries all over the state. If you want to be able to taste without worry, you can even take a guided tour so you won’t have to drive. Wyoming. Winter can come early in the mountains, which makes fall even more special. Try fly-fishing or camping. Enjoy a spa day. Then, when night falls, do some stargazing into the incredibly clear skies. Albuquerque, N.M. It is balloons that take to the skies over Albuquerque. The Albuquerque International Balloon Fiesta, held every October, is the largest hot-air balloon festival on the planet. Seattle. Its location gives Seattle a more temperate climate, which means there is more time to enjoy the fall. There are lots of outdoor activities, including 149 tiny beaches throughout the city. Or you can just enjoy the food. Southern California. Kayak or otherwise explore the Channel Islands National Park, which is full of sea caves and little secluded bays. Chicago. Winter can be harsh in the Windy City, but Lake Michigan, warmed by the summer sun, keeps the city pleasant well into the fall. Chicago hosts the International Film Festival in October. You also can head to the lakefront to visit museums and the Lincoln Park Zoo.